Every once in a while, you find a very special kind of recipe. It doesn’t look like much on paper, and even while you’re making it, it seems like just another recipe. But then you take your first bite and realize that somehow, from just a few boring ingredients and a few minutes on the stove, you’ve made a really special dish. 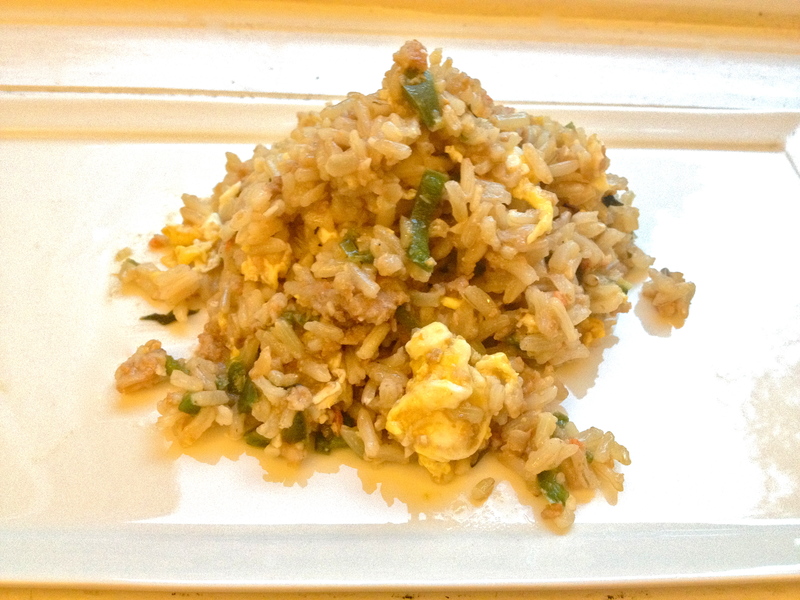 The most fun part about this kind of food is that you can never predict when a dish like this will turn up, so imagine my surprise when the random rice dish I prepared for dinner Sunday night turned out to be blow-you-away awesome! 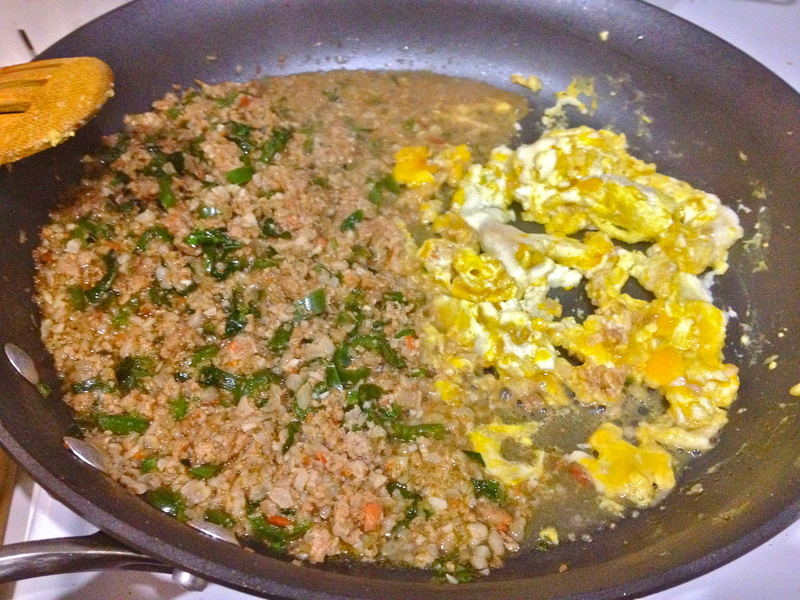 Definitely making this one again soon, only this time, I’ll know exactly how tasty the final product will be. Adapted from Orangette. First, prepare the rice according to the instructions. Set aside. 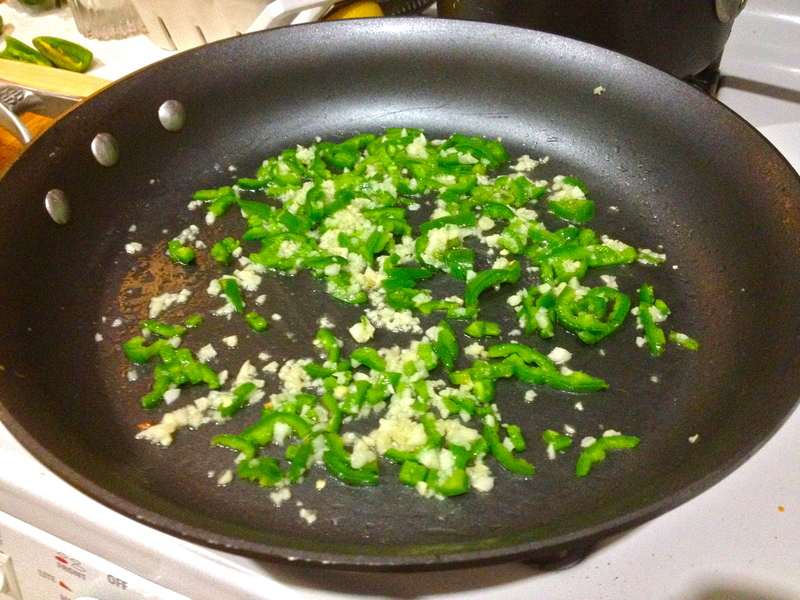 Heat oil in a large pan and add garlic, jalapeños, and salt. 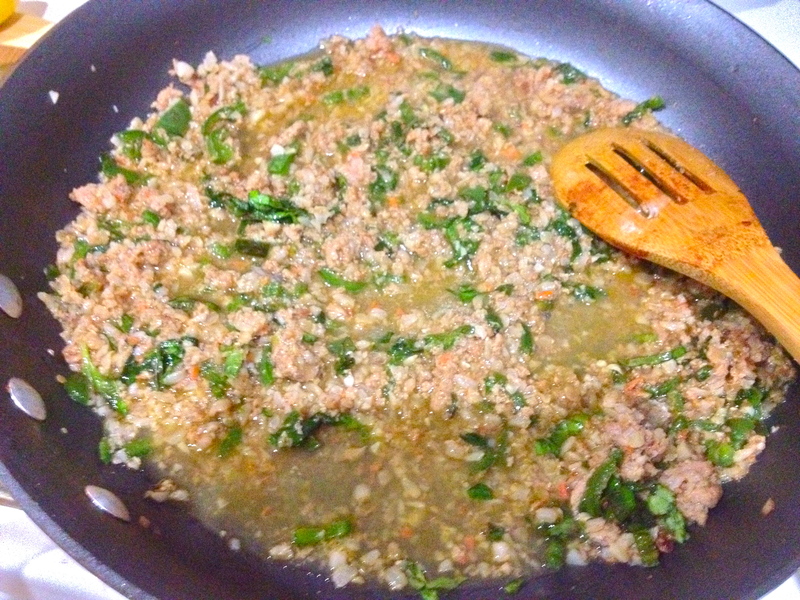 Cook 1 minute and add ground beef. Cook until just starting to brown. Then stir in soy sauce, sugar, chicken stock, and basil. Cook down until most of the liquid has evaporated. 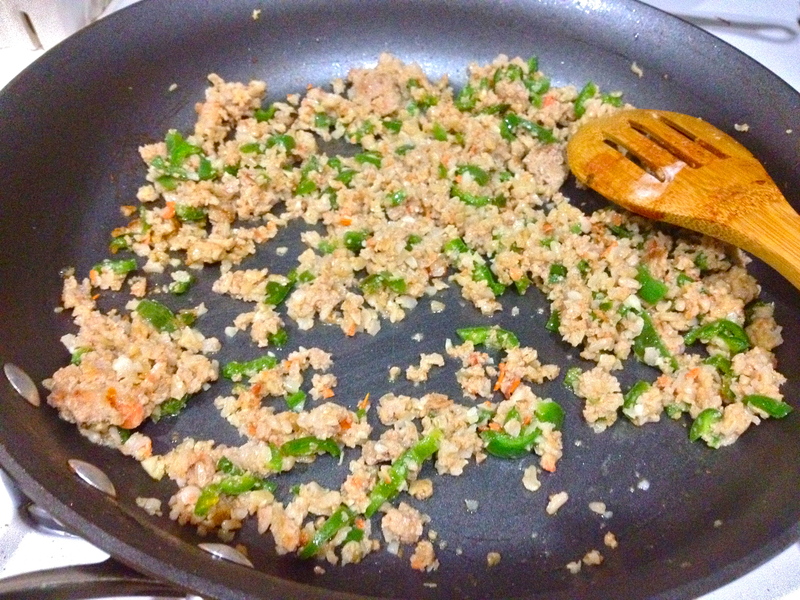 Move all the meat mixture to one side of the pan. 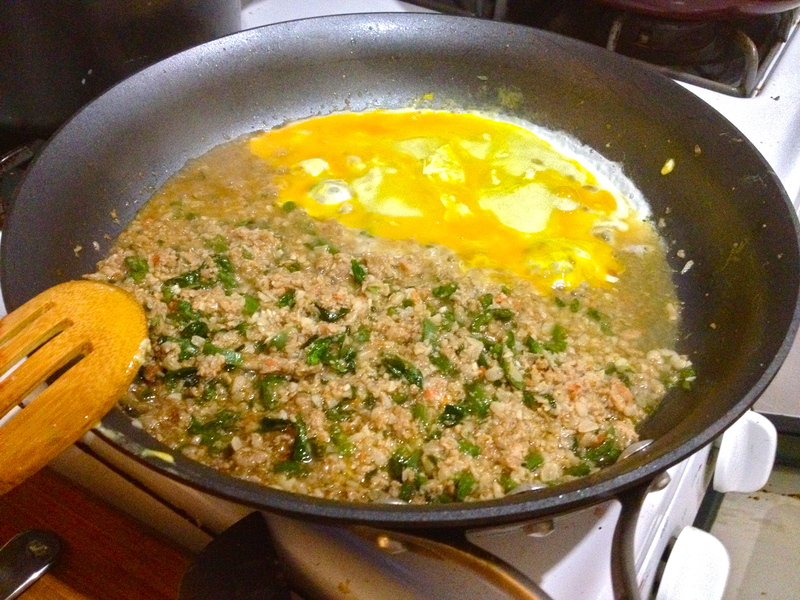 Crack both eggs into the empty part of the pan and muddle the yolks a bit. Let the egg cook, scrambling a bit while it firms up. Add the rice to the pan, stir the whole thing together, and give it about 5 minutes before you remove the pan from the heat. Totally rustic-looking but man, is this good! One suggestion: this dish is best freshly-made; it’ll keep in the fridge for a few days, but it won’t be quite as good as it is right out of the pan. So make sure to eat it right away!